Schedule is subject to change. Follow us on Facebook for daily schedule updates. 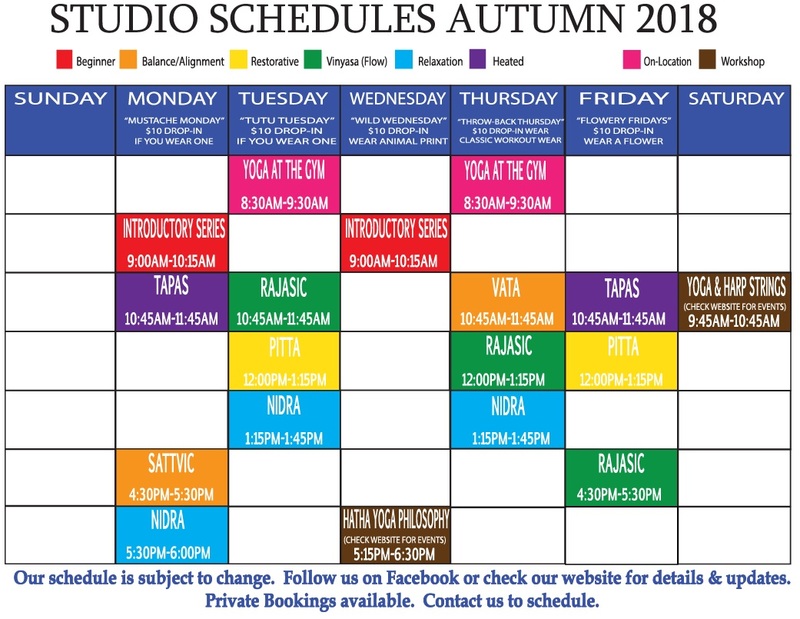 At Lake Tahoe Yoga, we have two studio spaces in which we practice. 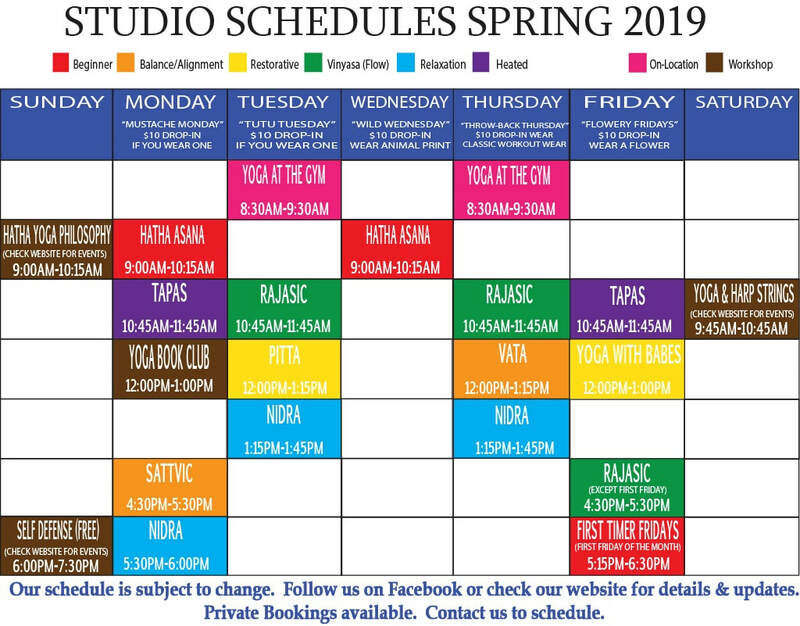 Our larger space is called "Svadhyaya Studio," while the smaller is called "Jnana Studio." ​During the Summer months, we have two outdoor practice spaces, as well. Every class begins with 3-5 minutes of discussion about a specific topic. We invite you to ask questions and participate. The topic discussed will be incorporated into every posture and movement of the practice. You will be reminded to return your focus throughout the practice. Every posture is intentionally chosen to evoke change. The goal of the posturing is not to demonstrate our physical prowess, or flexibility, but rather to shift the quality of our energy. Focus not upon how you look. Focus upon how you feel. Our studio space is heated to 69* during the Winter. Tapas practices are warmed to 85*. We do not air condition our space. Unless otherwise indicated classes are taught by Jenay. "Mustache Mondays" - $10 drop-in when you wear a mustache. "Tutu Tuesdays" - $10 drop-in when you wear a tutu. "Wild Wednesdays" - $10 drop-in when you dress in animal prints. "Throwback Thursdays" - $10 drop-in when you wear vintage yoga clothing. "Flowery Fridays" - $10 drop-in when you wear or bring flowers. Mats, blocks, straps, chairs and blankets are available for use at no charge. Classes run regardless of the number in attendance; we teach to 1 or 100. We want your feedback. Tell us which class you wish we offered and when. You might just get your wish! Thinking about riding your bike to class? Check the weather with local webcams below.